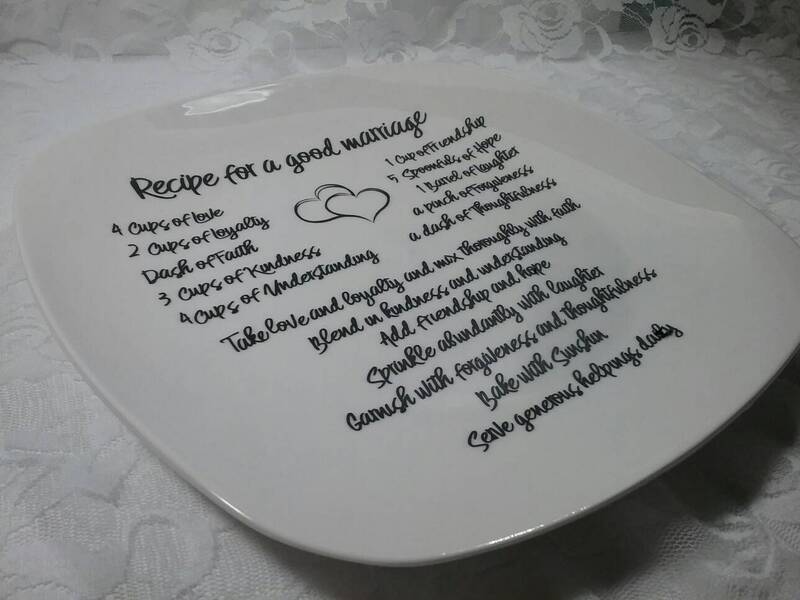 Remember the Big day and pass on great advice with this Recipe for a good Marriage Memory plate. 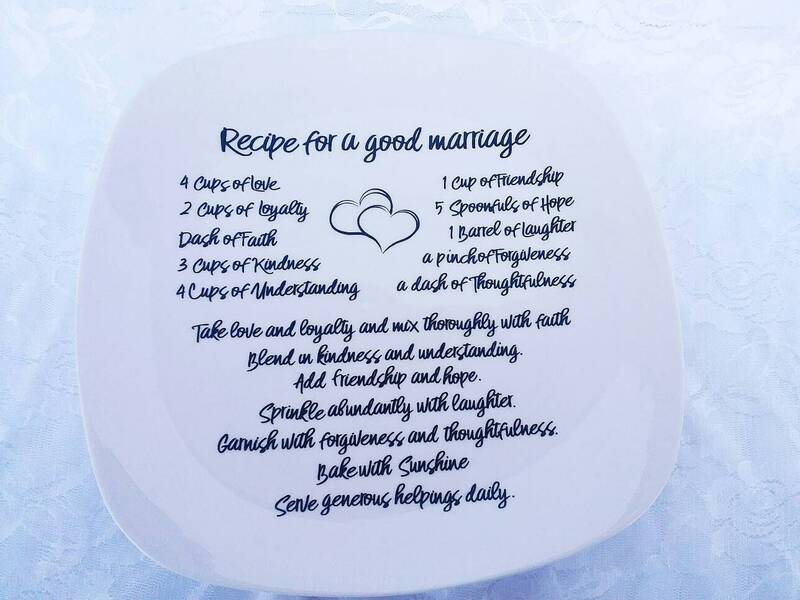 It features the recipe of a good marriage quote. 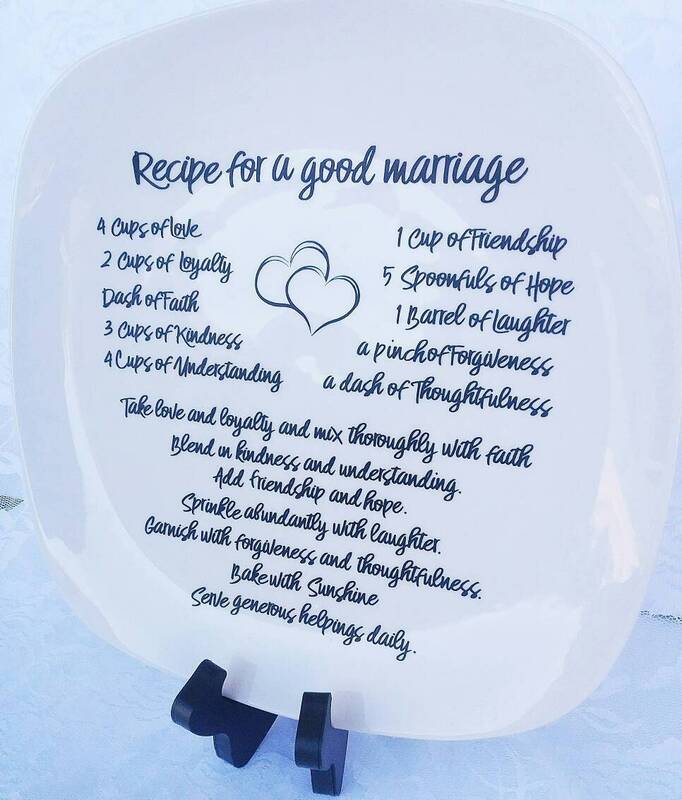 Great for a Wedding gift, Bridal Shower Gift, or just a little something extra special for the Bridal Shower. 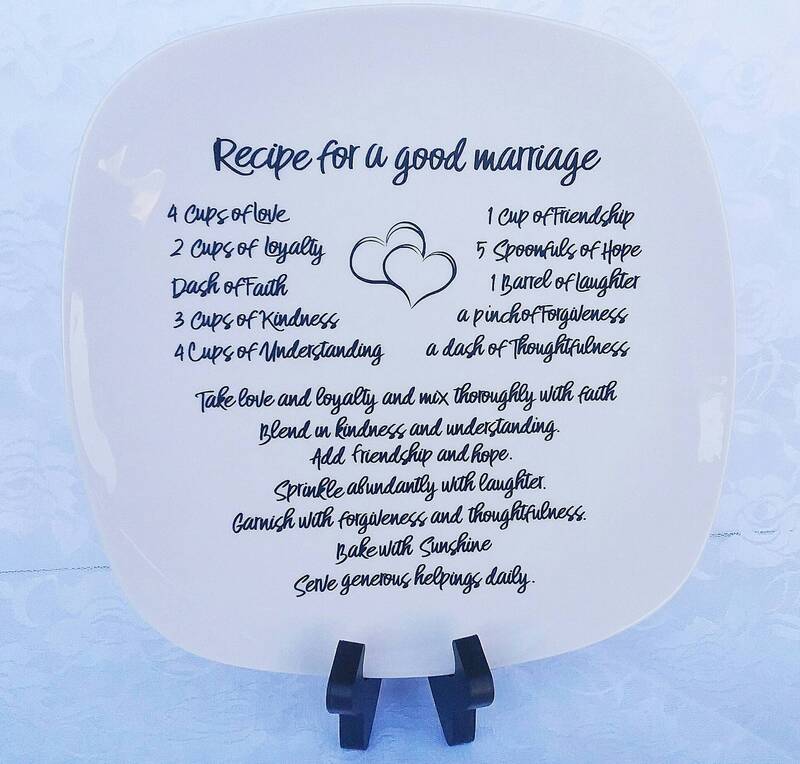 This memory decorative plate be custom designed to fit your needs. Whether the couple is just getting married or has been married for a while. 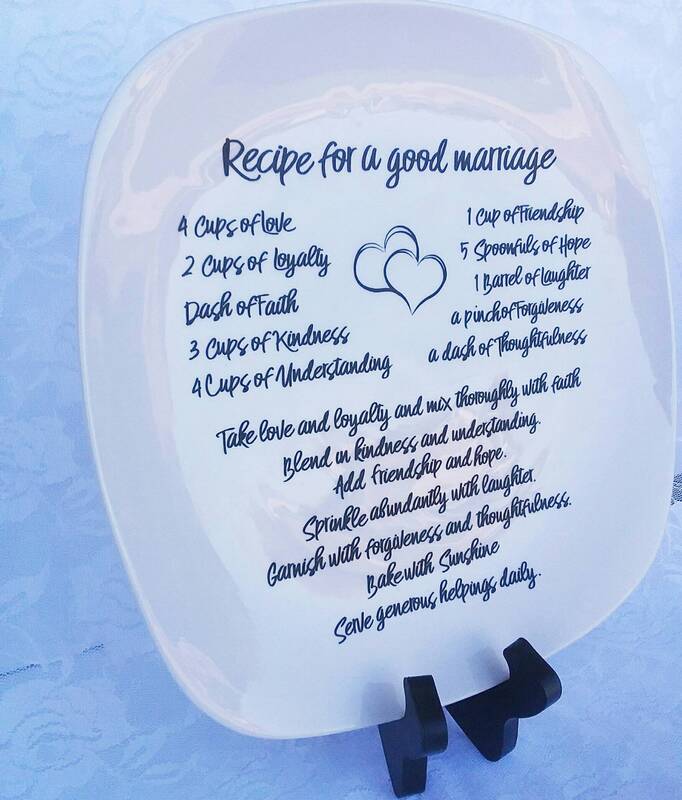 This gift is sure to capture their wedding day and bring many joyful memories. Customize wedding colors to match your theme. ( Don't worry I am here to help with all your design needs. 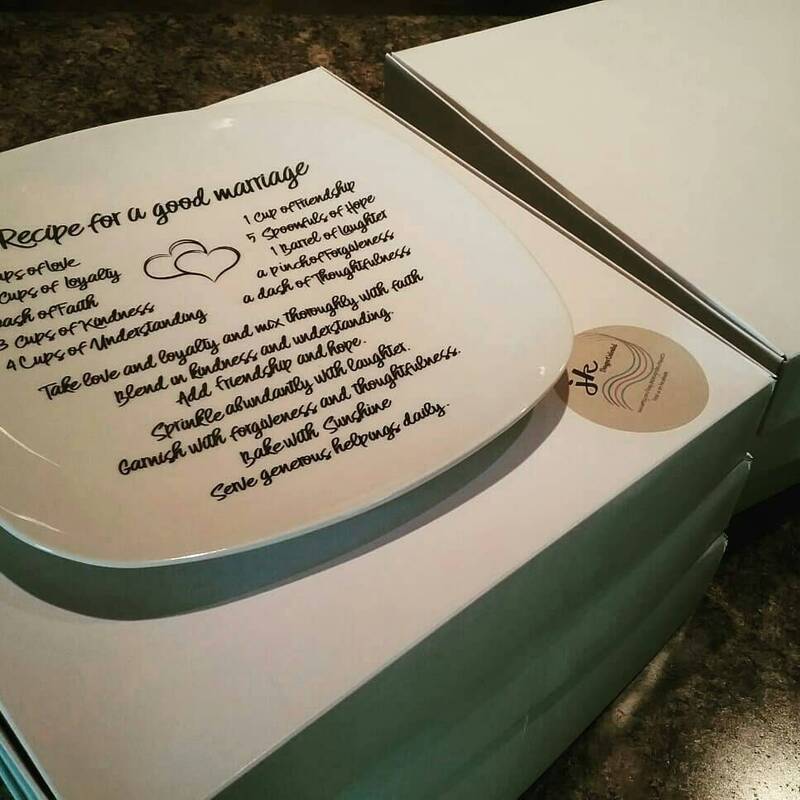 All recipes are recommended to imprinted come in black unless otherwise noted. 10x10 Square porcelin plate with plate stand.